Do you ever feel stressed-out and unable to think clearly as a parent? Do you find yourself losing your desire to connect with your kids and even manage their behaviors? 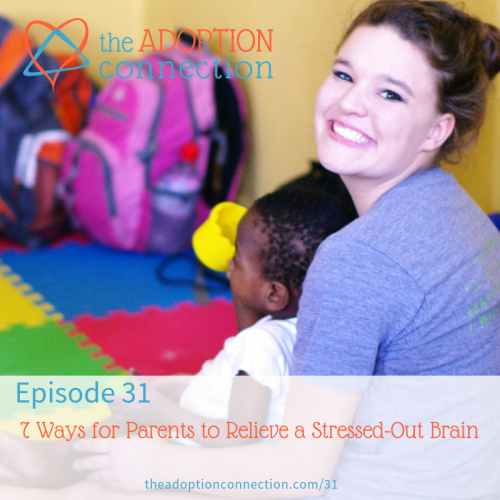 We get it because we've both parented with stressed-out brains, and it's a hard place to be. Episode #10: Why won’t my kids just go play?!?! Order Faith, Hope, & Connection: A 30-Day Devotional for Adoptive and Foster Parents. Join The Adoption Connection Facebook Group.